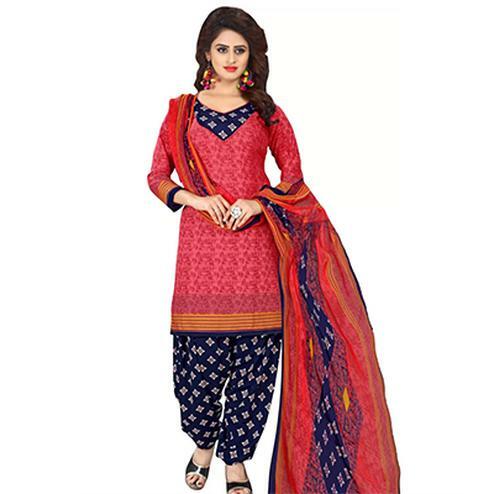 This red churidar suit with attractive traditional design print will make you look more stylish. 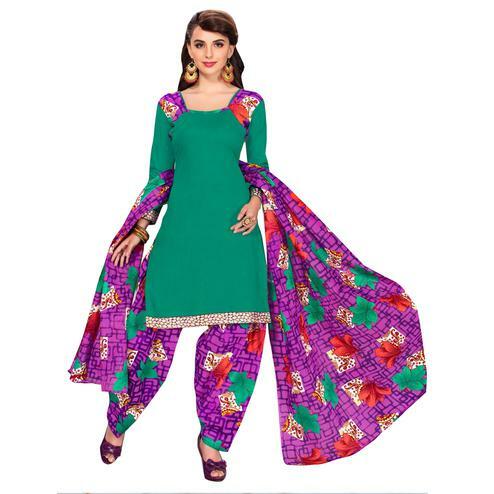 This unstitched suit consists of poly cotton top, bottom and dupatta. 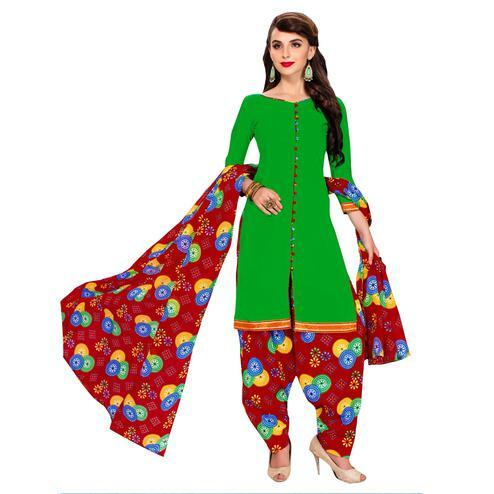 Once stitched, you can wear this outfit for casual purpose.